Accrington Stanley have signed Wigan winger Ryan Jennings on loan, while goalkeeper Tony Warner has signed a short-term deal at the League Two club. 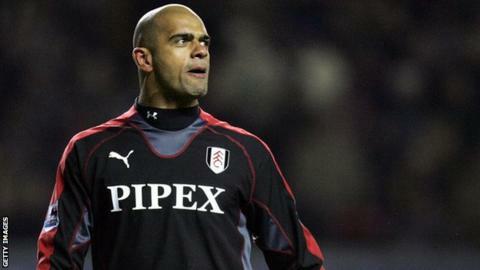 Former Millwall keeper Warner, 40, has not played for a club since being released by Blackpool in 2014. Jennings, 19, has not made a senior appearance for Championship side Wigan, but could make his senior debut in Stanley's next game against Newport. "It's a big experience for me," Jennings told the Accrington website. "I can't wait for that chance whenever I get it." Former Liverpool trainee Warner has now had spells at 19 different clubs, and has played over 350 games since making his debut with Swindon in 1997. "Tony's helping us out," manager John Coleman told the club website. "He has a good football pedigree but he'll also be good to have around the place. "He's coaching now at Bolton but will be able to play for us, and it's an ideal situation for both of us."